Are you planning to build a new kitchen or remodel an existing one? Bear in mind that the cabinets you choose will likely be the most expensive element in your project. Global Sales has chosen to represent five lines of cabinetry- each with a distinct point of difference: Shiloh Cabinetry, Elmwood Cabinets, Forevermark Cabinetry, and International Kitchen Supply. 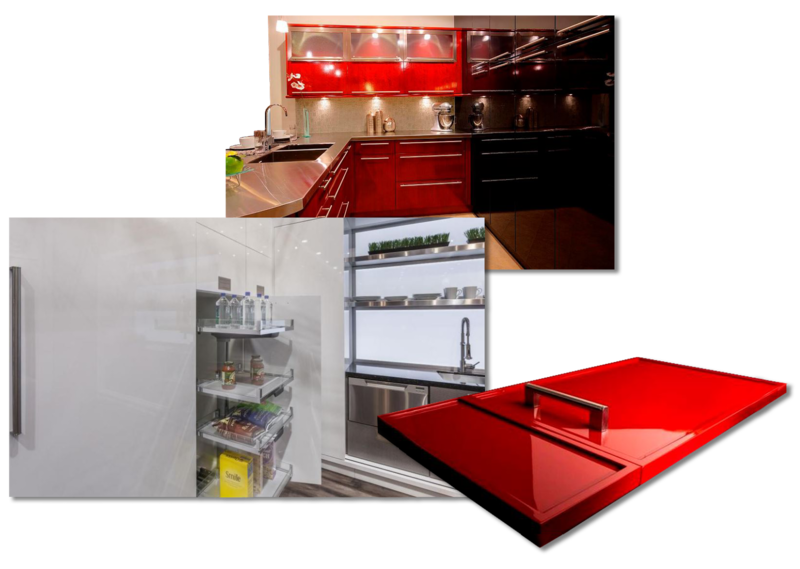 Once we understand your requirements, budget, kitchen configuration and personal sense of style, we can steer you to the cabinet manufacturer that will best suit your needs. In addition to building fine custom cabinets, Elmwood is known for their sophisticated European style frameless cabinetry. Given their extensive selection of door styles, unique features, and paint and finish options, Elmwood Cabinetry allows for complete customization of your kitchen. With hundreds of door styles to choose from, a wide variety of finishes, paints and stains, and numerous accessories and insert selections, the options with Elmwood Cabinetry are almost limitless. In the event you want a door style, size or insert that is not in their standard offering, they will build to order, giving you a truly customized kitchen to complement your distinct sense of style. When it comes to creating a beautiful high-gloss finish, Elmwood Cabinetry really shines. Elmwood offers a range of gloss finishes that will produce a stunning and polished look when paired with their sleek, contemporary European door styles. In addition to the customary wood choices such as maple, mahogany and cherry, Elmwood is proud to offer exotic materials and wood species for uniquely beautiful looks. Customize the look of your cabinets with plyboo, a solid bamboo door in a contemporary flat slab style. 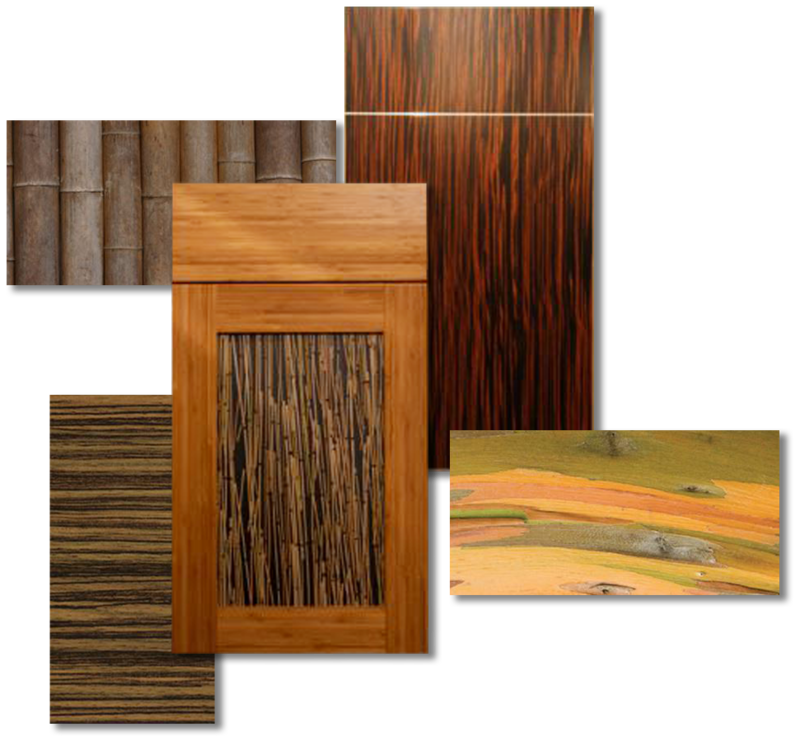 Or individualize your space with lyptus, a dense wood derived from a hybrid of the eucalyptus species. With choices such as engineered exotic veneers and innovative materials, Elmwood provides the ability to create one-of-a-kind kitchen designs. In utilizing these unusual materials in their products, Elmwood takes care to practice environmental responsibility, reducing pollution and waste while promoting resource sustainability. Add functionality and fun to your kitchen design with Elmwood's many cabinet accessories. 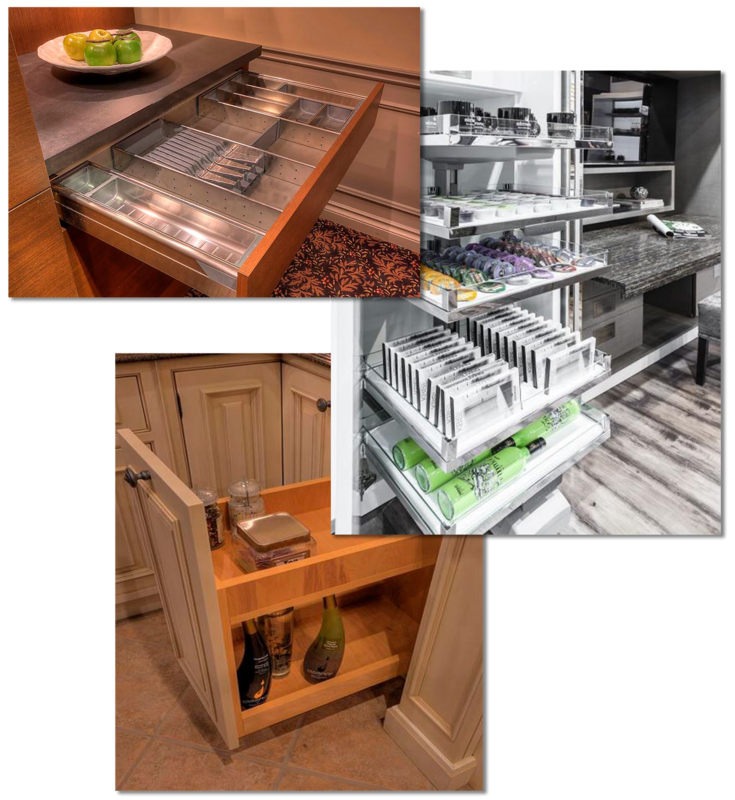 Offerings include lighted glass shelving, stainless steel utensil drawer inserts, motion-detecting drawer lights, coffee pod drawers, modern stainless steel wine racks, illuminated prep centers, plate organizer drawers... the list goes on! Don't forget the double trash bin drawer, pull-out spice rack or the wine glass storage unit when you design your dream space. Elmwood has everything you need for a hard-working kitchen. 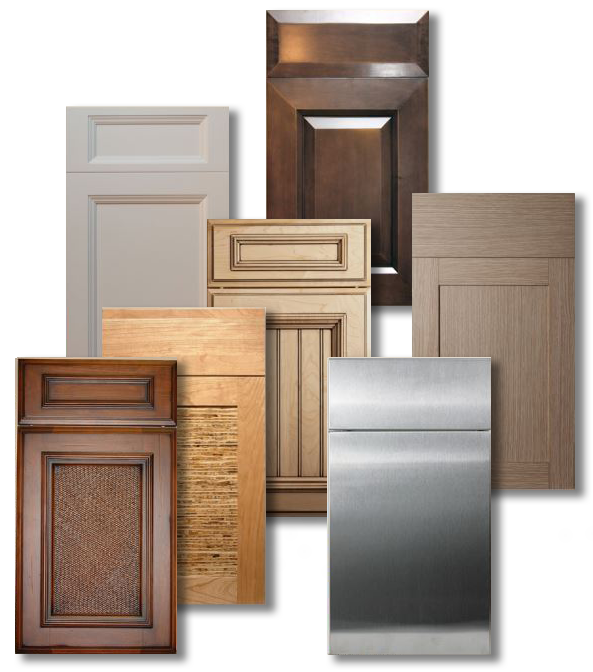 If you would like more information about Elmwood Fine Custom Cabinetry, such as construction details, finishes and door styles, click here.